5 Year Light and 10 Year Construction Limited Manufacturer Warranty. 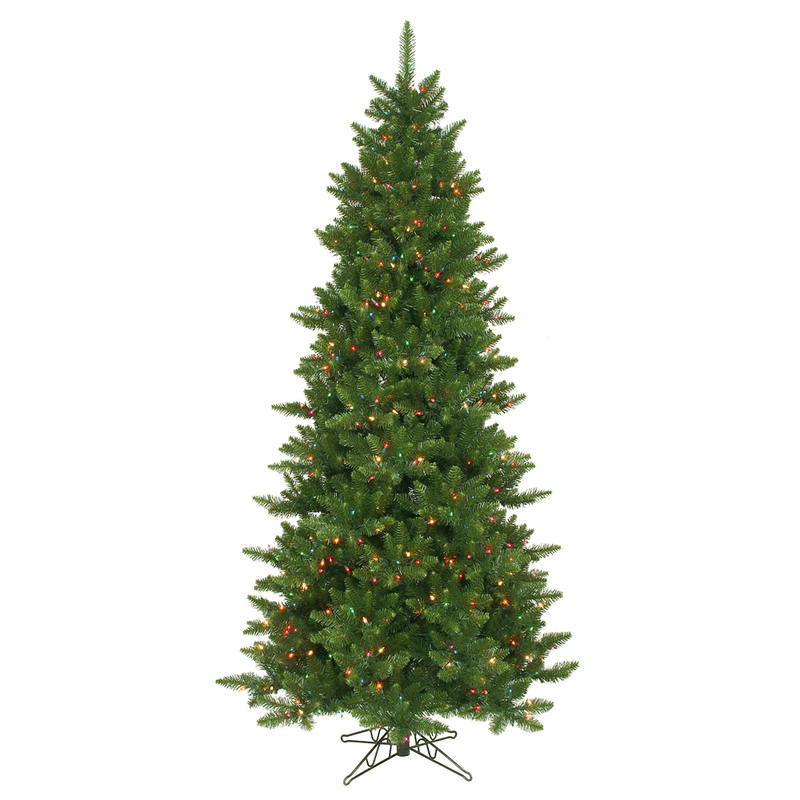 8.5' x 50" prelit Camdon Fir Slim tree featuring 1838 tips and 800 multicolored lights. Includes a metal tree stand and an on/off switch cord to control the lights.